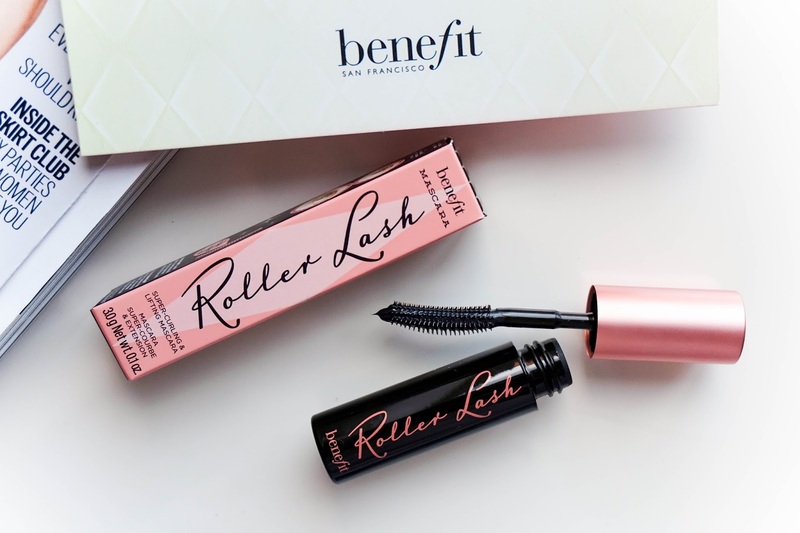 I know that by now everyone and their mothers have tried or reviewed this new Benefit mascara, but what kind of a blogger would I be if I didn't give my two cents in. 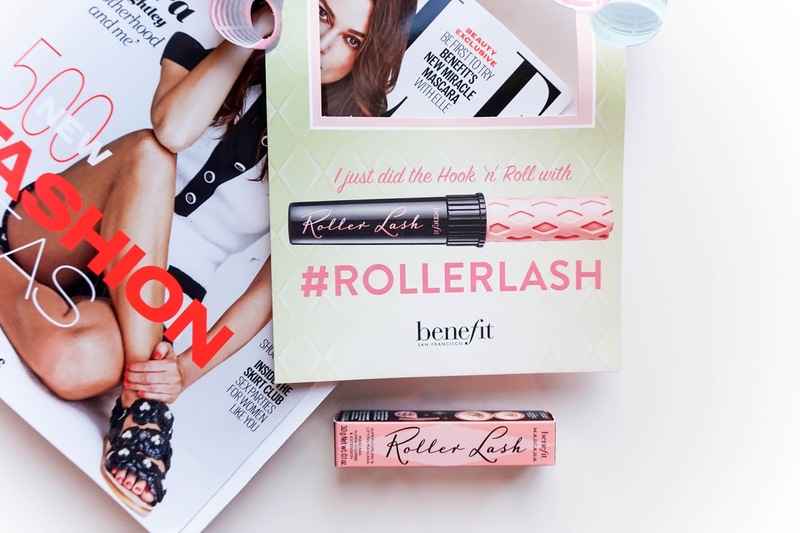 I tried waiting a few weeks for the hype to die down a little bit but nevertheless here I am with a review of the Benefit Rollerlash Mascara (sample size) which I picked up with Elle magazine. Other brands should take note, because when it comes to creating a massive hype around a product Benefit know their stuff. Offering a sample sized of this new release a month before it even hits the shops is genius and it worked because everyone is talking about it. I've always been impressed with each and every single mascara release Benefit have had in the past and loved how amazing they all made my lashes look, so it's fair to say I had high hopes for this new release. I'm glad to report that my hopes have been met and I will be more then likely picking up the full size in the future (even if it means waiting to pick it up in the airport with the duty free price tag because let's face it Benefit mascaras are pricey). The sample size is not true to the actual packaging of the full sized that I have seen some of the bigger bloggers out there reviewing, but as usual it's quirky packaging which always attracts the makeup obsessed part of me. The curved plastic wand is perfect for me because I've stopped loving fibre wands a few years ago. I love how well the curved part hugs the lashes and how amazingly well the bristles comb the product through the lashes. Now onto the actual formula which for the time being is still a little too wet than how I like it to be but no doubt it will start drying up slightly within a few weeks, which will make it perfect (I experience the same thing with my other favourite They're Real mascara but it's worth noting if you're not aware of it). 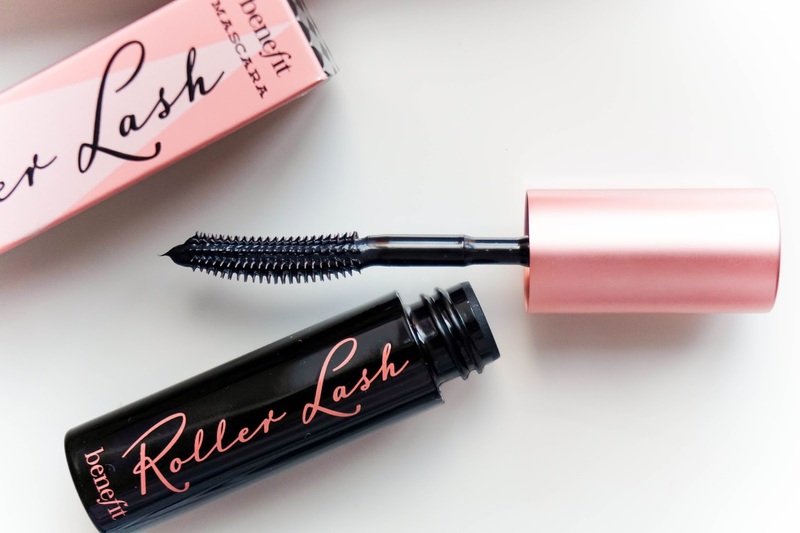 As the claims suggest this mascara is all about length with a good curl, meaning that it lacks in giving you great volume especially now that the formula is still quite wet. I still curl my lashes before hand because it's just habit for me and I love the finished result, but if you're not a fan of doing that the good news is you don't need to with this mascara. The curl holds all day until you decide to take your makeup off as the formula doesn't weigh down your lashes at all. I personally haven't experienced flaking or anything like that with this mascara but at the same time it's not the easiest mascara to remove. So it does take a lot more time & effort then usual mascaras to remove. Have you tried this mascara? What are your opinions on it?